If someone receives a blunt force to the mid-back region, the cause would be obvious. However, many patients enter the office not knowing what caused their pain. They just know that when they twist their back or move in certain directions, the region between their shoulder blades hurt. Upon examination, it is very common to find a lower back misalignment or, in some cases, a lower neck misalignment that has helped cause the mid-back pain. In fact, the discs of the neck can give the sensation of pain in the mid-back. Remember, the spine works as a unit. Another cause of mid-back pain is rib involvement. Anatomically, the thoracic spine (middle back) attaches to the ribs. If a blunt force affects the ribs, even if the force occurred in the front part of the body, a mid-back symptom may be felt because the muscles between the ribs were irritated. These muscles extend from the front part of the ribs to the area that attaches to the spine of the middle back. Sometimes this can occur when the patient has twisted and bent sideways while lifting or pushing something. Sometimes patients will remark that they have difficulty with full breaths. The ribs can shift slightly out of normal alignment to cause some of this difficulty. We have seen this happen just from something as simple as sleeping twisted to one side. Treatment consists of gentle adjustments of the ribs and spine. Ice can be used to help reduce the swelling commonly associated with this injury. If muscle irritation is involved, some physical therapeutic modalities may be used. 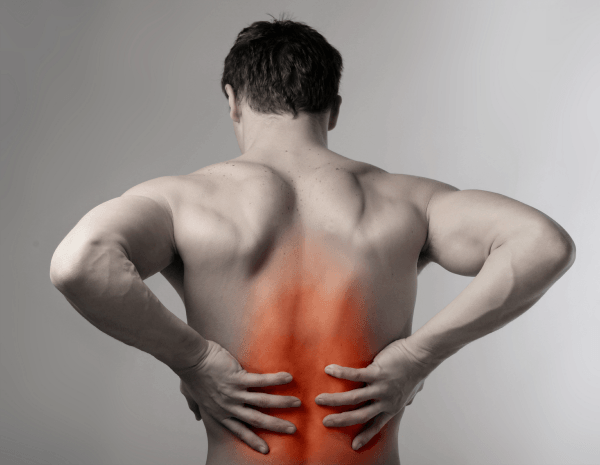 Low Back Pain is one of the most common symptoms seen in our office. Have you ever had pain doing the simplest of activities? Perhaps you were bending over to pick up a young child or even something as light as a newspaper. How about when you reach across your bed to straighten out the blanket or when you change positions from sitting to standing? Have you ever gotten back pain after driving for a period of time? All of these actions and many, many more very common activities can help aggravate lower back conditions. The activity can be as simple as brushing your teeth or putting on your shoes. It is easy to know how your back got hurt if you lifted heavy boxes, or worked very long hours bending and twisting. These are obvious causes. However, the more common causes are the everyday activities that we perform. Even though they don't feel painful, they cause micro traumas to our spine. That is, they cause little irritations that, over a long period of time, end up causing significant changes and damage to our spinal structure, and in some cases, major pain.